Hyundai Motor Company and sister company Kia Motors are expanding their current domestic market hybrid car line-up with three new models. Hyundai has introduced the Grandeur hybrid, (known also as the Azera in global markets), while Kia has launched the K7 (Cadenza) and K5 (Optima) hybrids. 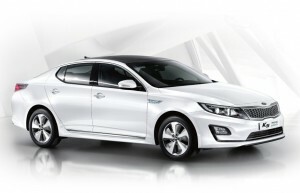 Kia’s new K5 hybrid model is an upgrade to the existing model that was released a couple of years back, whereas the K7 hybrid is an all-new model. The same goes for the hybrid version of the Grandeur premium sedan which is also new to the hybrid market. Hyundai has recently announced that they want to be a leader in the environmentally-friendly auto market by delivering a full range of hybrid options. In addition to the latest Grandeur hybrid, Hyundai also has a hybrid versions of the Avante and Sonata. The Sonata hybrid is also sold in the USA, while Elantra hybrid has been a Korean-market exclusive model. Kia’s previous entry into the market came in the form of the Forte LPI Hybrid, but that model was discontinued earlier in the year (due to poor sales probably). That said, Kia has not rules out the possibility of a hybrid version of the compact sedan K3 (sold as Forte in the USA). To differentiate the hybrids from the current gas-powered models, Kia has also announced new names for its more eco-friendly models. The K7 will be known as the K7 Hybrid 700h, while the K5 will be the K5 Hybrid 500h. Hyundai and Kia believe that the addition of the three new hybrid models will give customers more options, whilst also appeasing drivers looking for environmentally friendly cars. The hybrid versions of the Grandeur and K7 both deliver 16 kilometers per liter (37.6 mpg). Both models will also be equipped with Theta II 2.4 MPI Hybrid engines and 35 kilowatt electric motors, which combine to deliver 204 horsepower. 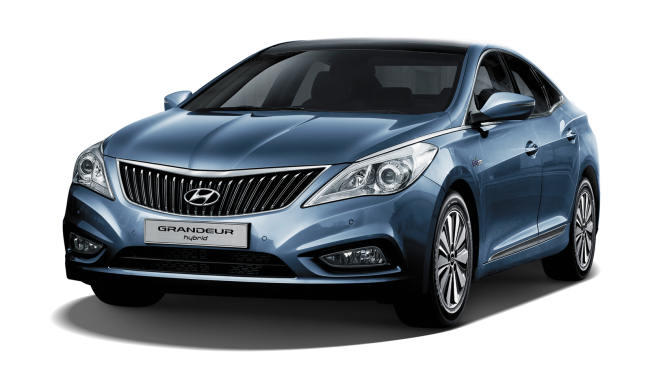 There is a single trim level available for the Grandeur Hybrid, with the price set at 34.6 million won ($32,000). There are a pair of different trim levels available for the K7, with the Luxury edition coming in at 34.4 million won. The Prestige edition starts at 35.95 million won. The annual saving that come when comparing the hybrid versions of each vehicle to the gasoline versions are quite impressive. The Grandeur Hybrid can save the average driver about 980,000 won for every 20,000 kilometers, while the K7 Hybrid saves the driver about 1.28 million won. In addition to a number of different introductory promotions, Hyundai and Kia will also be offering a 10 year or 200,000 kilometer warranty on each of the models. Both companies hope that the introduction of the hybrids will help halt declining sales in Korea. They have seen their hybrid sales decline in the past year. Hyundai’s numbers declined by 15.2%, while sales of the K5 Hybrid dropped by 23% over last year.